Fabulous location, our two caravans set in their own generous garden area, with wonderful, far reaching countryside views across the rolling hills. Located centrally within the county of Ceredigion we are able to provide a tranquil location within a half hour drive of the Cambrian Mountains, Brechfa Forest and Cardigan Bay Coastline. New Quay is only 12 miles away, with its super beaches and picturesque town. Its just 5 miles to the historic market and university town of Lampeter. Arfryn is a comfortable, inviting and cosy caravan which sleeps 4 in 2 bedrooms, a double bedroom with two bedside cabinets and lamps, a wardrobe and a dressing table with hairdryer, and the twin bedroom with single beds, cupboards and a wardrobe. Both have electric heaters. There is fold out double in the living room if required.The shower room has a toilet and hand wash basin. The kitchen is well equipped bright and airy. It has a full size gas cooker, a fridge with a small icebox, microwave and electric kettle and toaster. You will find everything you need, including crockery, pots and pans, cutlery and glassware. The lounge and dining area is an inviting area with plentiful extra cushions and low level lighting and tasteful decor. There is a gas fire, vacuum cleaner, Freesat HD television. You can select from a large range of TV and radio stations, or pop a DVD in to view or listen. We have a good selection of indoor and outdoor games and DVD’s as well as a BBQ. There is parking along side each caravan, and a patio/outside dining and seating area. 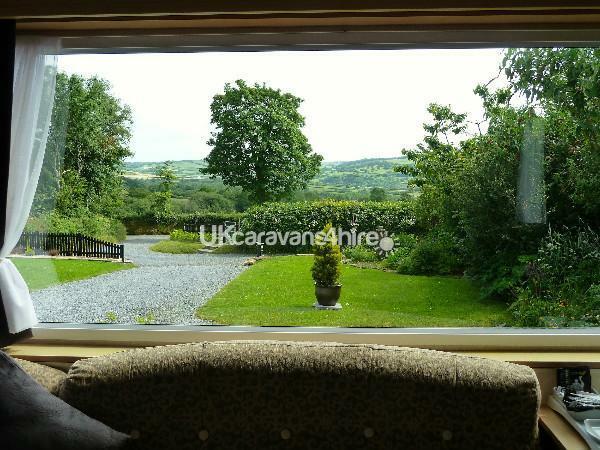 The caravans have a grassed area, all with good views and country side all around. Alongside this there is an enclosed dog exercise paddock and separate utility block with shower, toilet and laundry facilities. We provide tea towels, please bring your own towels. Gas and electricity is included. Up to 2 dogs are welcome. Welcome pack of tea, coffee, pint of milk and biscuits. We do not provide bed linen, you will need to bring your own. Nothing is too much trouble for Claire & Andrea the owners. Tea & biccies / cereals & milk ready - such a nice touch - thank you. A gorgeous area of Wales well worth a visit. Friendly people, lovely beaches and so much to do. A warm welcome is guaranteed. Thanks guys for your lovely review and for leaving the caravan spotless. We very much enjoyed having you stay and really hope to see you again soon. EVERYTHING ABOUT THIS HOLIDAY WAS PERFECT. 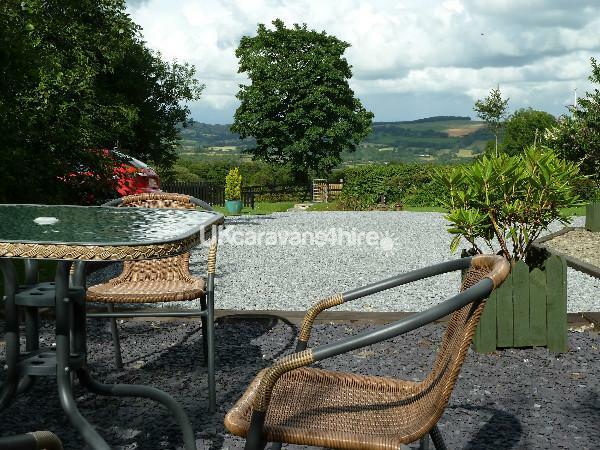 GREAT LOCATION WITH LOVELY VIEWS, WELL EQUIPED, CLEAN AND HOMELY CARAVAN WITH WELCOMING TEA, COFFEE, MILK AND BISCUITS, WHICH WAS MUCH APPRECIATED AND DOG FRIENDLY. WOULD RECOMMEND TO ANYONE LOOKING FOR A QUIET COUNTRY RETREAT. THANKS TO STEVE AND JANETTE.